Set your alarms! Mark your calendars! 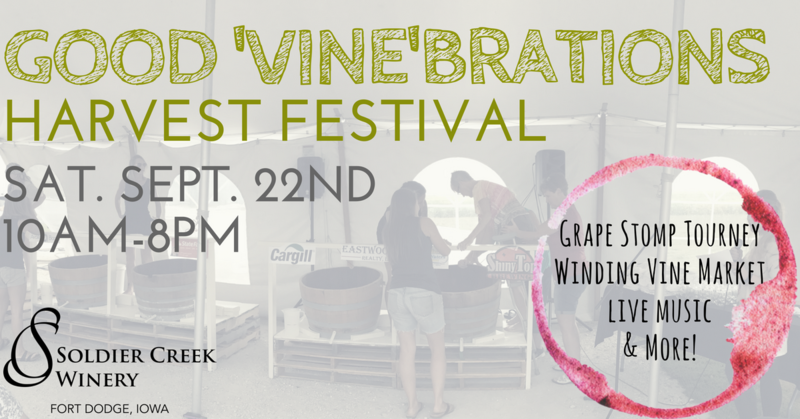 Saturday is the good ‘vine’brations harvest festival! The bless-ed time is upon us, dear Soldier Creek-ians! The harvest is *nearly* in (keep us in your good thoughts while we try to finish it up this week!) and we are ready to CELEBRATE! This is our time to have a festival and give you all something to party about! So, in true harvest style, put on some flannel and bring your slushie cups– we’re getting ready to throw down on some fun! 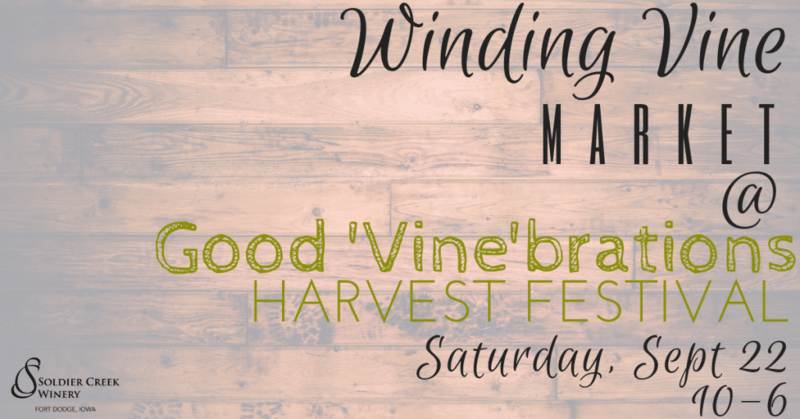 sO, WHAT CAN YOU DO AT THE GOOD ‘VINE’BRATIONS HARVEST FESTIVAL? 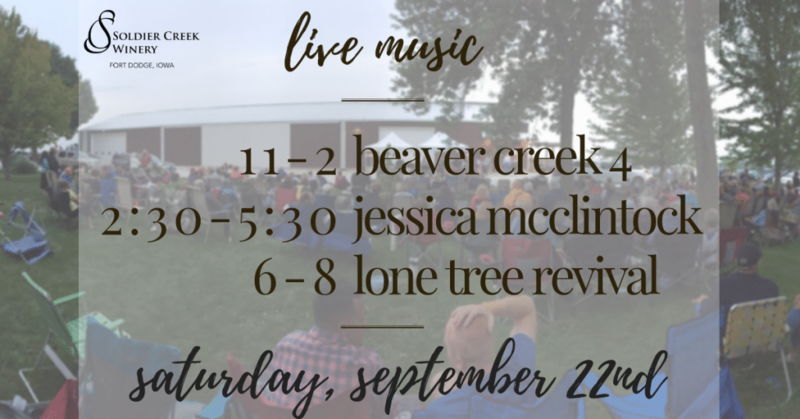 What even is Soldier Creek Winery without music? For that reason, we have live music all day! You could win a case of wine! You get to stomp on grapes like you’ve always wanted to! 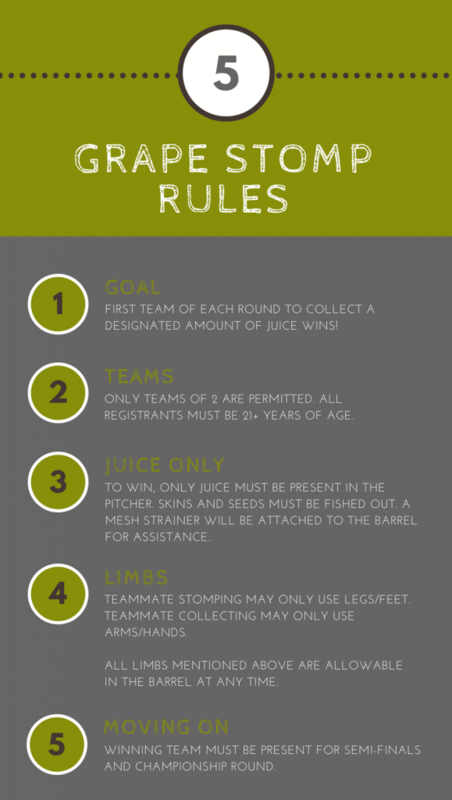 How long is the grape stomp tournament? >> We heard you last year, so this year we shortened the tournament up! The qualifying round starts at 1:00PM and the final 4 teams will compete for the CASE OF WINE at 5:30P. >>Every participant gets a stemless wine glass, the winners of the qualifying round (24 teams) get an *exclusive* Harvest Fest t-shirt (featuring our WINOSAUR stomping his heart out! ), the winners of the semi-final rounds (4 teams) wins a bottle of wine to share, and the GRAND PRIZE is a CASE OF WINE. Won’t I be dirty? How will I enjoy the rest of the day? >> Fear not! We have a wash station complete with loofahs, soap, and aloe! We are prepared! >>The entry fee is $35 per team. >> Sadly, no. Since some of the prizes are alcoholic beverages, this tournament is limited to participants that are 21 and older. >> You can sign up here! If there is still space, we will accept sign-ups on the day-of as well. Ever wonder just how big the vineyard was? 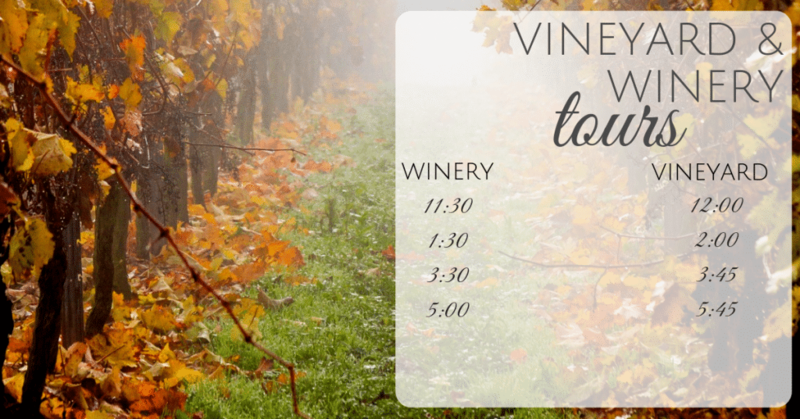 Well, hop on the hayrack and take a tour with the Vineyard Manager! Bring your inquiries, but not your libations. lastly, pull up a chair at our outdoor beer & wine tent!